Where none but the gulls and wild winds go. And watch them spin away. And all the ties that bind. Just thoughts and birdsong, breeze and sun. No voices but the trees’ deliberations. “Wilfully mislay myself” – I love this. Thank you Rachel. You have no idea how many times it was crossed through and rewritten before I nailed it, though! Nick, you are such a great poet. I am having a challenge doing much on wordpress these days. I’m not sure why, but I come to your site every once awhile and am always amazed. I, like a lot of people, have what Ethel in one of her poems says, “I have become accustomed to aloneness,” and welcome the aloneness. Your skill is just wonderful. Keep writing, my friend. It always does me good to hear from you, my friend. Iâve actually done a pretty good job of remaining invisible for the last few months, through pressure of work and a long creative dry. But I shall take your words to heart. Thank you once again for your encouragement. Hope all is well with you and Ethel. N.
Oh…now that last stanza captures exactly how I would like things to be…another brilliant write. Praise from you is praise indeed, Charles. Thank you so much. 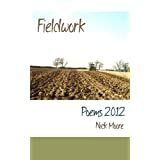 N.
Hi Nick, good to hear from you again in a poem. I’m not very acitve online too at the moment due to circumstances, but I am glad I decided to take a peek on your blog. Happy 2016!